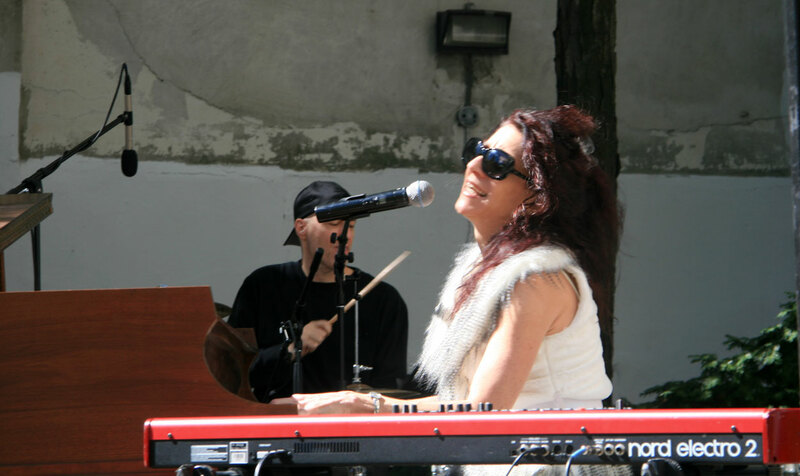 Performing “Wheels on a Train” at the Westbeth Music Fesitval. Valerie Ghent (piano/vocals), Kevin Johnson (drums). Photo credit: Tom Bisio.